Did Hannah manage to find out the truth about the Capitol bombing? 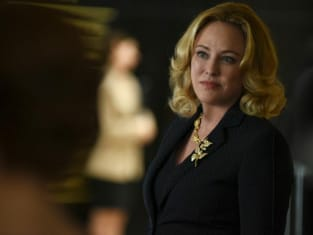 That was a key question on Designated Survivor Season 1 Episode 9 when she had to prove McLeish's involvement in all of it before the time ran out. Meanwhile on this hit drama series, Kirkman was forced to deal with the aftermath of classified documents being leaked that painted someone in the office in a bad light. Use the video above to watch Designated Survivor online to get caught up on the latest developments for the characters as they search the truth. Mr. President, do you have anything to hide? Permalink: Mr. President, do you have anything to hide? Certainly survival shouldn't be the only qualification for leading our country, should it? Permalink: Certainly survival shouldn't be the only qualification for leading our country, should it?